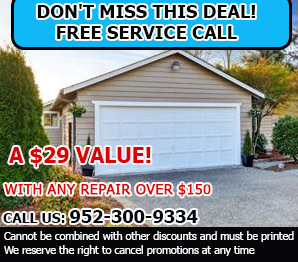 Make your life easier and your garage door even better by following the tips provided bellow. They cover various topics that are of great importance in our industry. You will certainly benefit from what you learn here. Just ensure that you will use all of the advice correctly. You should pay great attention to the bottom section of the door as it often gets in direct contact with cleaning chemicals and road salts which can be damaging to protective coatings and highly corrosive as well. Our specialists recommend that you check around the weather seals as well. Rusty garage door panels must be fixed timely. The UV rays of the sun can easily damage the plastic body of the transmitter and make it prone to breakage. It is best for you to keep the remote control in your pocket or bag when you are out and in a high cabinet when you are at home. You can test the garage door opener’s force settings by holding the bottom part of the door as it closes. If it does not reverse after applying moderate resistance, there is excessive setting. The setting of your overhead door should thus be adjusted based on manufacturer’s instructions for your safety. This eliminates the need for changing the code regularly. The technology will do it for you after every use of the opener. As a result, the possibility of someone learning or guessing the code and using it to get inside your garage is practically eliminated. This is a simple, but very reliable and effective security measure.